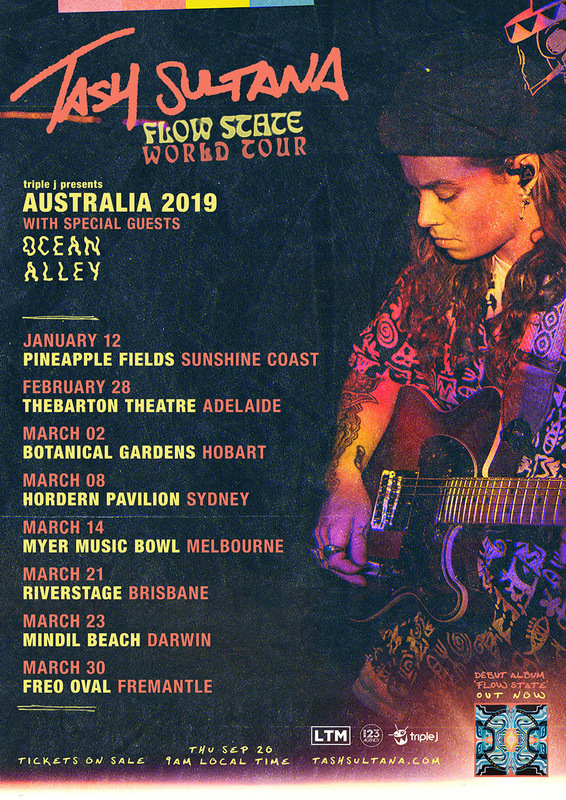 Global sensation Tash Sultana has announced long awaited Australian national headline shows as part of the ‘Flow State World Tour‘. The one-person powerhouse has been nonstop touring the world over the past 2.5 years, including a record-breaking 3 sold out shows at the O2 Academy in Brixton this year. Tash is finally bringing the acclaimed live show back to home soil in 2019. Tash started out playing open mic nights on a fake id and busking on the streets of Melbourne. Now Tash is selling out every headline show, from theatres to arenas across multiple countries and playing dozens of high-profile festivals around the globe. This will be the first headline tour in well over a year on Australian soil and Tash will be playing a full 2-hour set. Recent accolades include over 250M streams, topping theiTunes chart in multiple countries, ‘Jungle’ coming in at #3 in triple j’s Hottest 100 and charting multiple entries, achieving Gold for the Notion EP and platinum sales for single ‘Jungle’, winning the prestigious unearthed j award, multiple Aria award nominations and most recently playing a stand out set at Coachella and Lollapalooza 2018. Supporting all shows is one of the most talked about bands and good friends of Tash,Ocean Alley. One of the most played bands on triple j this year, this is shaping up to be one of the biggest local tours in 2019. 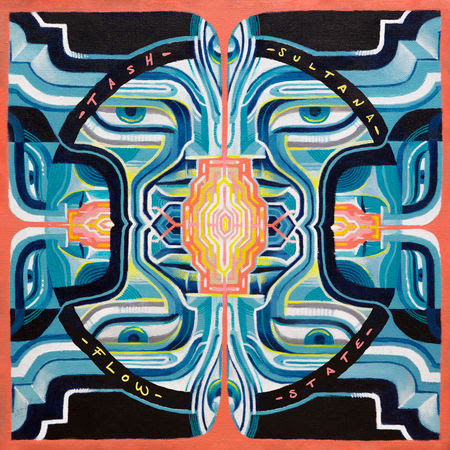 Tash’s highly anticipated debut album, ‘Flow State’ was released on August 31 to worldwide critical acclaim. It was the triple j feature album of the week and charted in thetop 10 in 31 countries. Tash’s last Australian tour sold record-breaking numbers by selling out in days. Pre-sale tickets available now via Tash’s fan club. General Admission on sale Thursday September 20, 9:00am local time.